In The Medicine Wheel, Sun Bear and Wabun put forth a whole new system of earth astrology to help guide people not only in their daily living but also in their life paths. In the authors' own words, this book was written to "help all people relate better to our Earth Mother...and find a kinship with the universe." The Medicine Wheel is a beautiful and inspiring approach to graceful, holistic living in trying modern times. The Medicine Wheel's philosophy is derived from a basic principle known by all people who live close to the earth: Once you fully embrace the elemental forces of nature, you become a part of the whole. Let this book be your first step toward finding peace and prosperity -- and your own special place in the circle of life. The moon, or month, during which you were born determines your starting place on the Medicine Wheel and your beginning totem in the mineral, plant and animal kingdoms. The first moon of the year, the Earth Renewal Moon, marks the time when the Father Sun returns from his journey to the south and begins, once again, to precipitate growth in the Earth Mother and all of her children. This moon begins at the time of the winter solstice, which usually occurs on December 22. This is the first moon of Waboose, Spirit Keeper of the North. It is followed by the Rest and Cleansing Moon and the Big Winds Moon. The moons of Waboose, those of rest and renewal, bring the time to contemplate the growth of the previous year and prepare for the growth of the year to come. Following the moons of Waboose are those of Wabun, Spirit Keeper of the East. These three moons are those of awakening growth, when the Father Sun begins to illuminate all of earth's children and prepare them to bring forth their proper fruit. The first moon of Wabun is the Budding Trees Moon, which begins at the time of the spring equinox, which usually occurs on March 21. The other moons of Wabun are the Frogs Return Moon and the Complanting Moon. The moons of Wabun are those of illumination and wisdom, as earth's children prepare to grow in their proper way. Next come the moons of Shawnodese, Spirit Keeper of the South. These are the moons of rapid growth, when all the earth comes to flower and bears fruit for that year. The Strong Sun Moon is the first one of Shawnodese and begins on June 21, the time of the summer solstice. It is followed by the Ripe Berries Moon and the Harvest Moon. This is the season of growth and trust. Trust is necessary in this season, since growth is so rapid there isn't time to ponder progress. The autumn is the season of Mudjekeewis, Spirit Keeper of the West. The first moon of Mudjekeewis is the Ducks Fly Moon, which begins on September 23, the day of the autumn equinox. It is followed by the Freeze Up Moon and the Long Snows Moon. These are the moons that bring us the time of introspection, the time of gathering strength to look within and contemplate the growth and progress made in the preceding seasons. These are the times to prepare for the season of resting and renewing to come. Each moon has a particular totem, or emblem, in the mineral, plant and animal kingdoms, which shares characteristics with the people who are born during this time. From your starting totems you will learn about yourselves, at the same time you learn more about your other relations on the earth. People do have a responsibility to their totems, to give them respect, liking and gratitude for the lessons and the energies they contribute to the continuation of life on our common Earth Mother. As you travel around the wheel, you should strive to learn as much as you can about the totems of any place that you stand, so you are always growing more knowledgeable about those who share the earth with you. When you stand in the place of a different moon, you have the capacity to take on the characteristics of the totems for that moon and to learn from them, as well as from your fellow two-leggeds. The more you are willing to learn, the further you can travel on your journey around the Medicine Wheel. Remember as you read of the moons that not all people will have all of the same characteristics, even though they share the same moon and totems. All travel the wheel at their own speed. It is possible, during the time you stand at one position, to sometimes have moods or phases that seem more fitting to those of another moon. These can remind you of positions through which you have passed or give you hints of the places you'll be traveling to next. 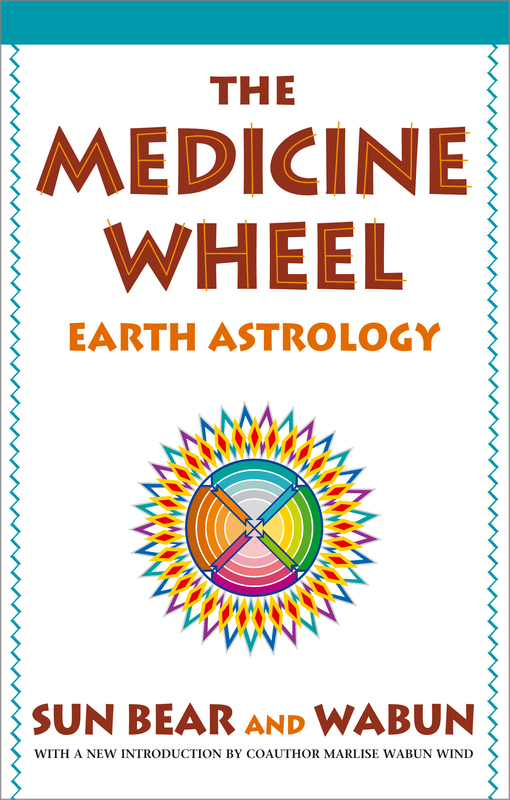 The important message of the Medicine Wheel is that you allow yourself to keep traveling, rather than tying yourself to one position and blocking your energies from growing and changing. "Sun Bear is a proud example for the generations to come....I am proud that I have lived at the same time as this great, warm, loving and caring person." "His medicine power is authentic and hard-won; his caring wisdom is real. Sun Bear is one of the quiet heroes of our time." "[A] compendium of fascinating information about various animals, minerals and plants, including their characteristics, their healing and spiritual qualities....This is a new vision [for] our times."